Who says disco is dead? 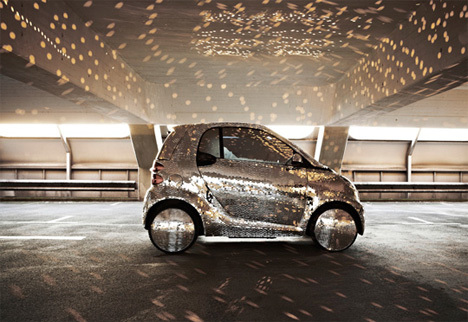 Certainly not Smart: they have turned one of their teeny-tiny electric Fortwos into a mobile urban disco ball. The car is covered in mirrored tiles and designed to light up its environment wherever it goes. By day it reflects the sun, probably blinding everyone in a one-mile radius, but by night it gives you the perfect conditions for a party. 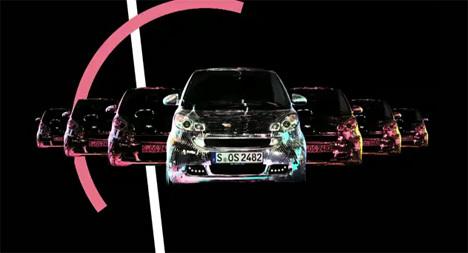 An awesome music video was produced in collaboration with the artsy band Apparatjik to highlight the car. The impressive art-car styling includes mirrors almost everywhere on the car, including the hubcaps and the windows. Obviously you wouldn’t want to drive this one around regularly – particularly in a sunny climate – but it would definitely be the perfect accessory to bring along to an outdoor party along with enough flashlights to hand out to everyone.